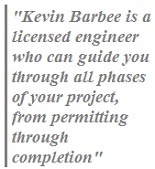 Kevin Barbee founded Barbee Construction 20 years ago. 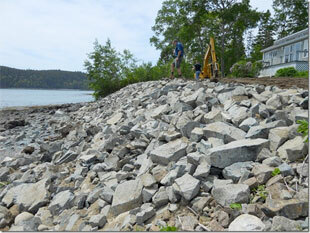 Since that time, Barbee Construction has built some of the finest homes in Maine. Barbee Construction has built their reputation on quality, craftsmanship, and a laser-like focus on the needs of their customers. Owner Kevin Barbee is a licensed engineer, and is an expert on all phases of the construction process, including legal and building code issues. 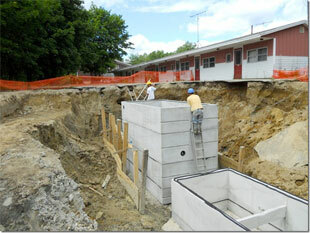 He has renovated and built all types of structures from office buildings to shore-front homes. Barbee Construction has developed some of the finest properties along the Coast of Maine always with an eye and effort to maintain the natural beauty of their clients properties. Their capabilities are supported by a full fleet of trucks and heavy equipment along with a highly skilled team of operators and craftsmen. Barbee Construction is a good steward of the land, the kind words of their customers and the beauty of their work will attest to that. Call Kevin Barbee today, 207 422-6792 or email barbeeconstruction@gmail.com for all your construction and development needs.